IS YOUR STUDENT HITTING THEIR AR GOAL? 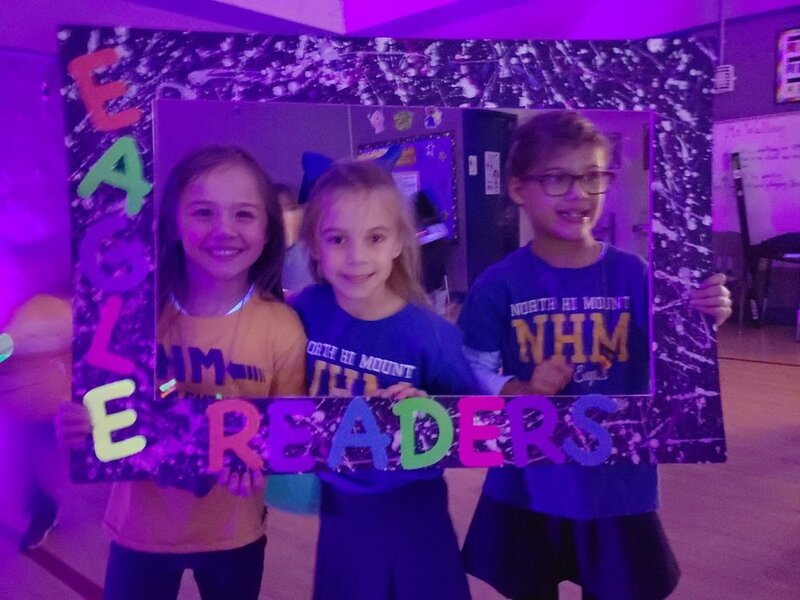 North Hi Mount instituted the Accelerated Reader program a few years ago, and since its inception we’ve seen nothing but growth, results and an amazing level of excitement from the student body to reach their reading goals. 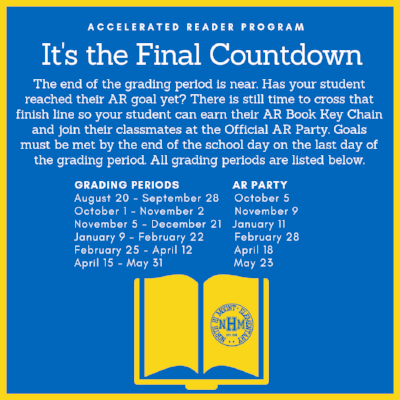 Just what is the Accelerated Reader program and what are these AR Goals everyone speaks about? Well, each grading period your NHM Student is given the opportunity to read an AR-assigned book for their grade level and take a corresponding comprehension online quiz after. Once they read a certain number a books and pass their quiz, they will have hit their AR goal. Once they hit their AR goal, they are invited to attend the Goal Party that corresponding week (usually on Fridays). Below is a list of all the grading periods for our school year and the parties. All AR quizzes must be taken on the NHM campus in either the computer lab or library before, during or after school. 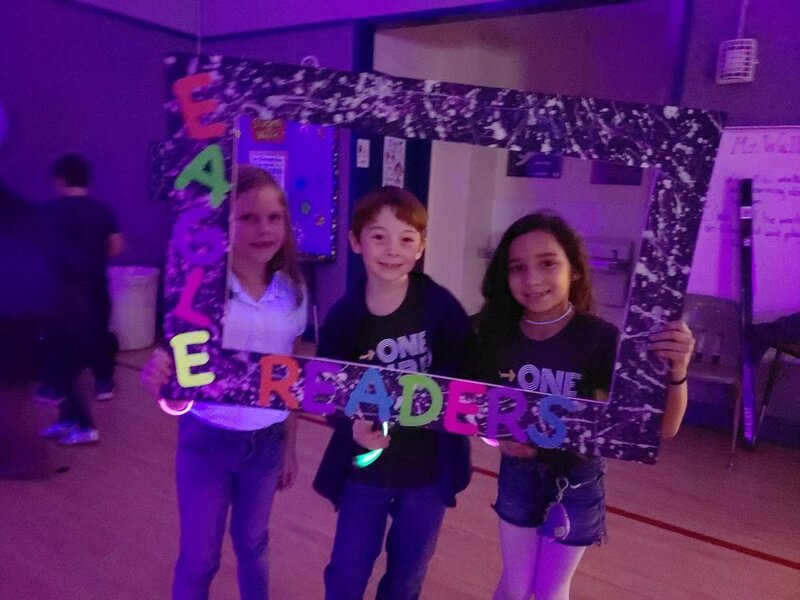 Many teachers allow for time during the school day for their student to hit their AR goal that grading period, but if your student needs additional time you are more than welcome to accompany them to school early one day (the library is usually open by 7:30 am) or potentially after school. *** PLEASE NOTE THE NHM LIBRARY IS CLOSED EVERY WEDNESDAY BEFORE SCHOOL. AND IF YOUR STUDENT WOULD LIKE TO TAKE AN AR TEST OUTSIDE OF SCHOOL HOURS, THEY MUST BE ACCOMPANIED IN THE LIBRARY BY A PARENT/ADULT/GUARDIAN. PLEASE DO NOT DROP STUDENTS OFF UNATTENDED. The program is run by our very own NHM librarian, Miss Massey, in conjunction with the support from the NHM PTA. Please reach out to Miss Massey if you would like to learn more information about the AR program, have a question about your student, or would like to confirm extended library hours for your student to take their AR test. 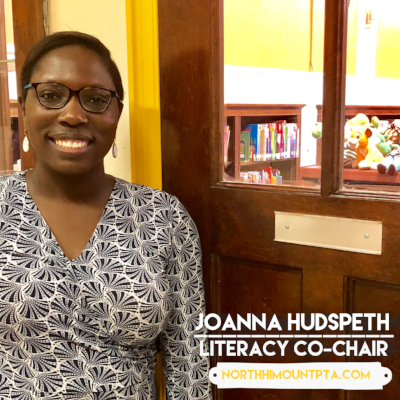 Parents can see if books they have on hand are AR approved books by going here, or they just check out the correct books from the library so they can read them at home a few times before taking the quiz. 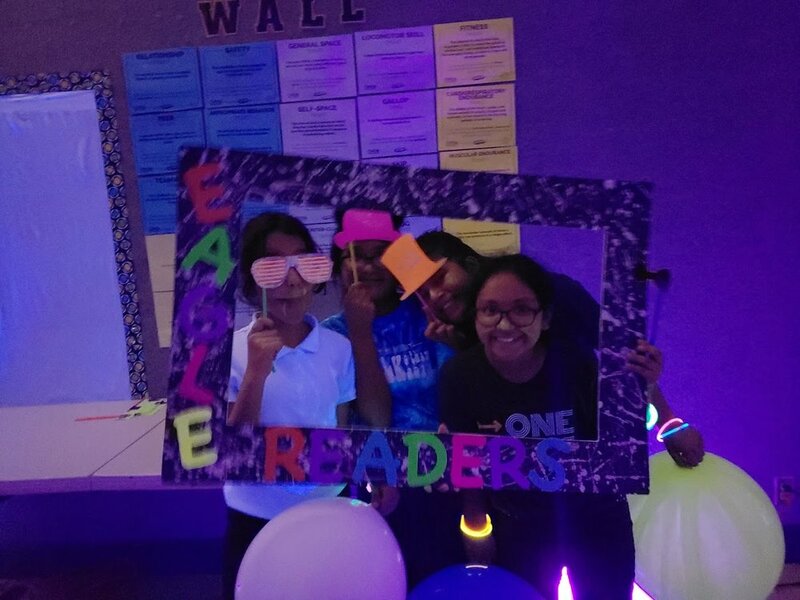 AR is open to all grades, although the Kinder teachers usually don’t begin allowing time during the school day for students to read AR books and take the quizzes until later in the year. 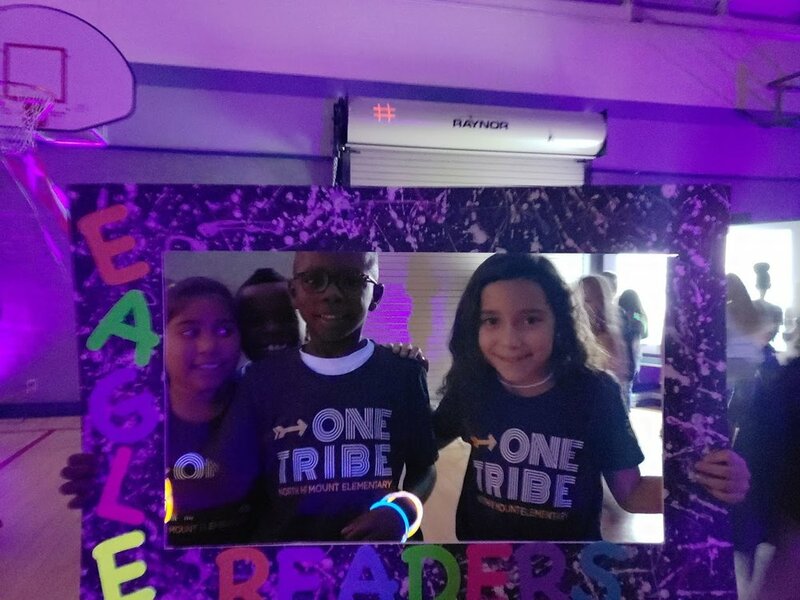 1st through 5th grade should all know their AR logins on the computer and be able to find a book, take a quiz and reach their goals!! 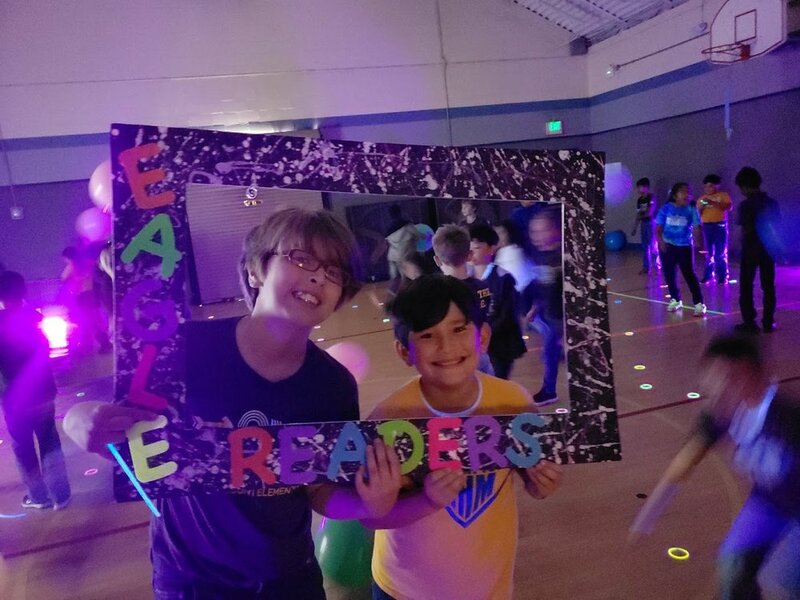 The parties are during the school day, usually on the Friday after the grading period ends, and are a blast for all students. Sometimes it’s an outdoor popsicle party, a glow in the dark party in the gym, or games in the courtyard. No matter what, it’s always a great time!! 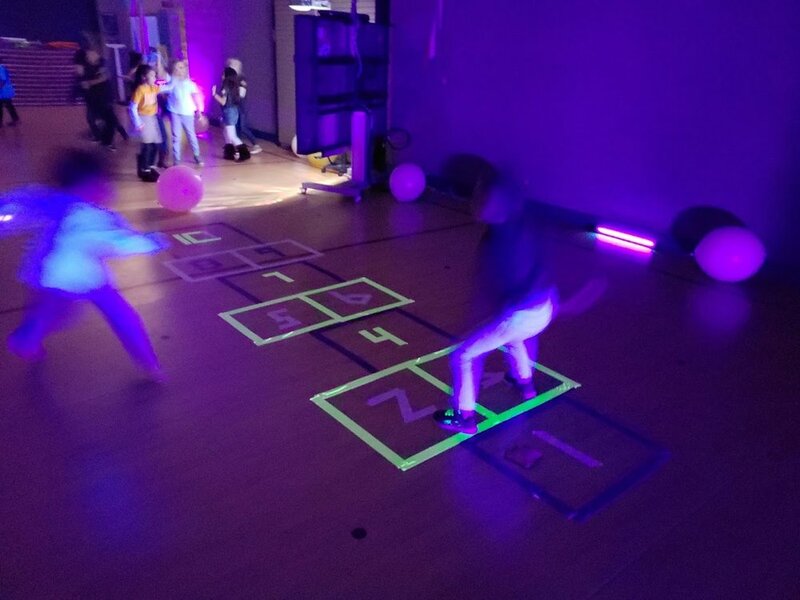 Check out these pics from our party last week where our amazing PTA Volunteers turned the whole gym into a glow in the dark playground of fun. 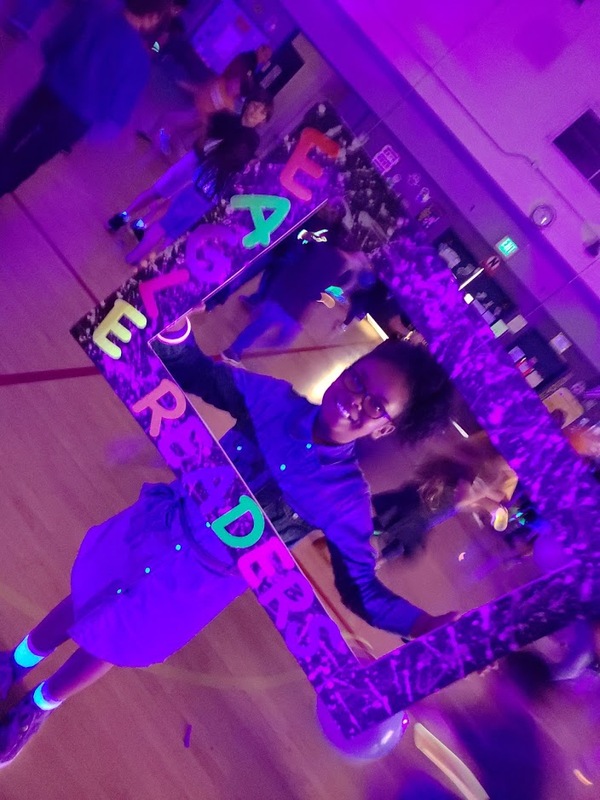 Want to volunteer at our next party? 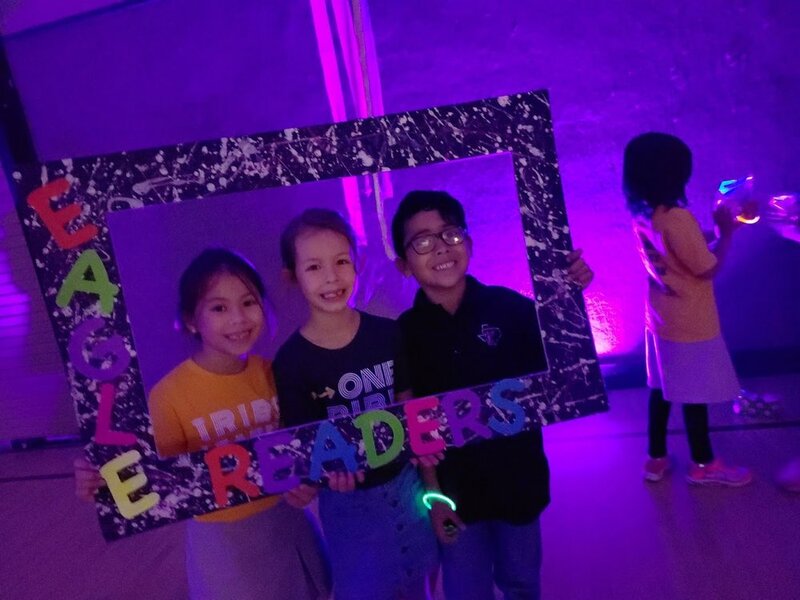 Reach out to our Literacy Committee Chairs and they can get you setup with our online signup form. If you’d like to know if your book makes the AR list, check out this link. Tired of asking your student if they hit their goal? Why not just check! Make sure they provide you their login or ask Miss Massey for it if they’ve forgotten and you can check their progress at home and work with them as team to ensure they reach their goal. We love our parent volunteers! 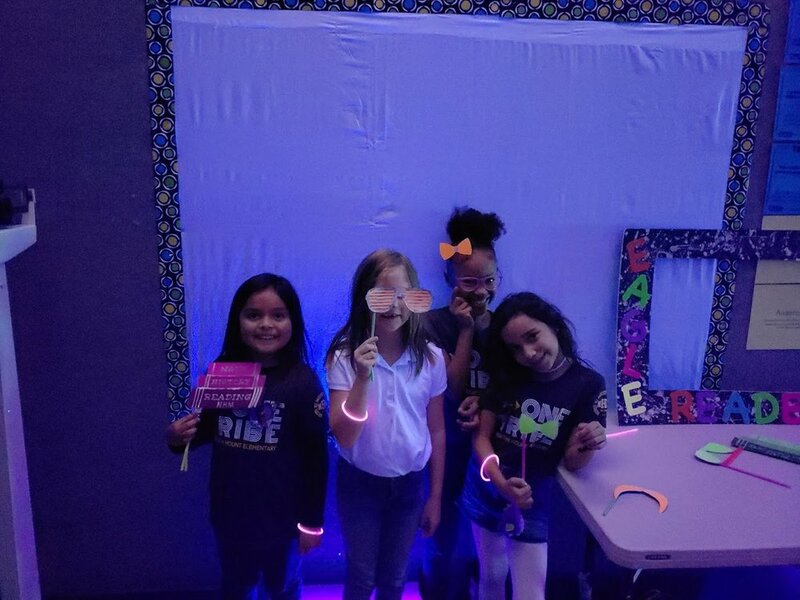 The PTA assists Miss Massey in hosting the AR Goal Parties and we’d love your support. We can add you to the NHM Volunteer GroupMe group to ensure you see the Signup Genius link we send out the week before each party where you can pick a shift that works with your schedule to assist in watching the students while they have fun celebrating their accomplishments. If you need to ask our libarian, Miss Massey, any questions feel free to stop by the library or send her an email. 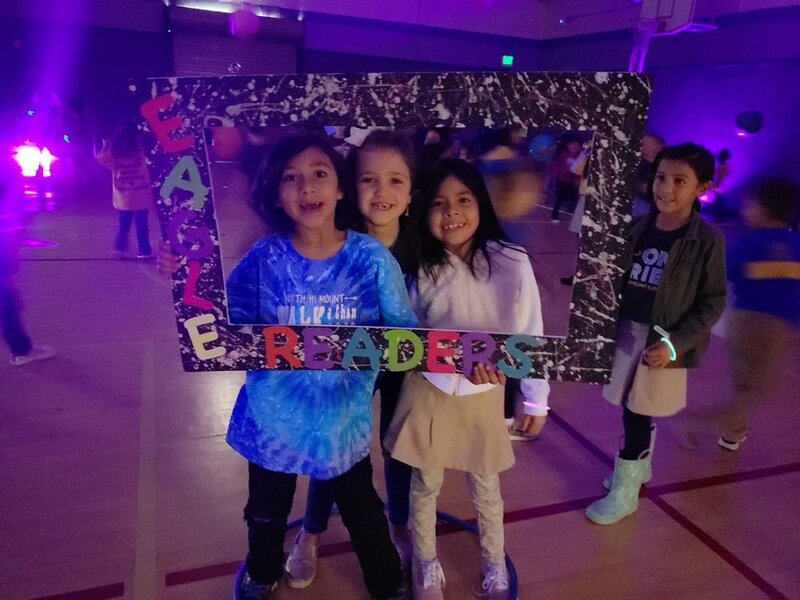 Our literacy efforts wouldn’t be where they are today if it wasn’t for the efforts of our PTA Literacy Committee Chairs. 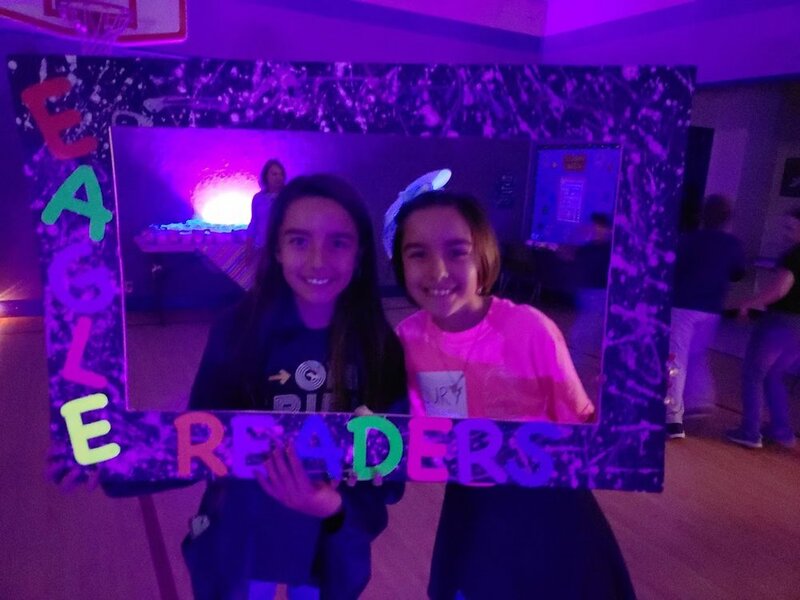 Thank you to Joanna Hudspeth and Julisa Melendez for all that you do to continue growing our AR program and literacy efforts. If you’d like to contact Joanna or Julisa, please feel free to reach out to them via email by clicking on one of the buttons below. North Hi Mount Elementary is a Fort Worth ISD School.